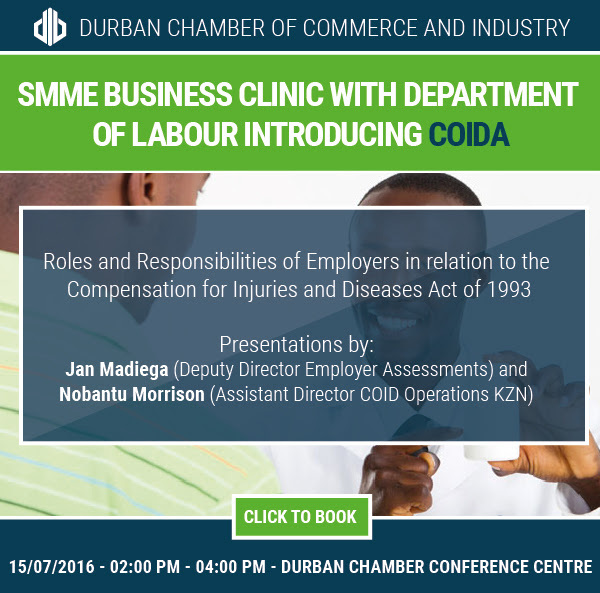 Jan Madiega (Deputy Director Employer Assessments) and Nobantu Morrison (Assistant Director COID Operations KZN) will present on the Roles and Responsibilities of Employers in relation to the Compensation for Injuries and Diseases Act of 1993. The on line demonstration will cover the initial registration of a business, Return of Earnings submissions, Letters of Good Standing and the registration of an injury on duty. Anyone wanting to follow the demonstration are welcome to bring a laptop or tablet. 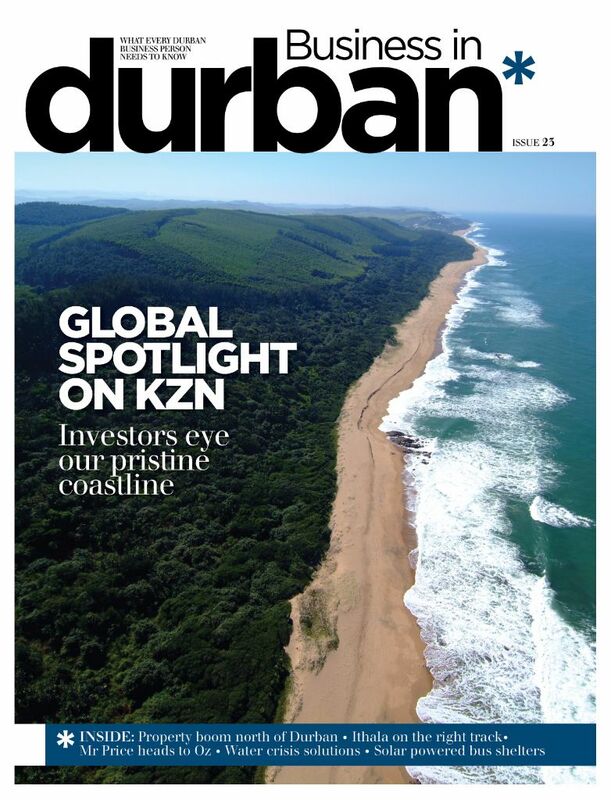 Also bring remember any registration numbers or access keys issued by the Compensation Fund. RSVP is essential for access control and parking. RSVP here.